Serving Texas... One Sprinkler at a Time! With Green Collar Workers you can always trust that you’re working with certified and experienced professionals. Sprinkler Repair of Texas is a proud Texas based irrigation service company. We serve the Denver, Dallas, Fort Worth and San Antonio metro areas. Our licensed and experienced sprinkler repair technicians will identify your problem and solve it. No matter the job or the season, we will repair your sprinkler problem… GUARANTEED! 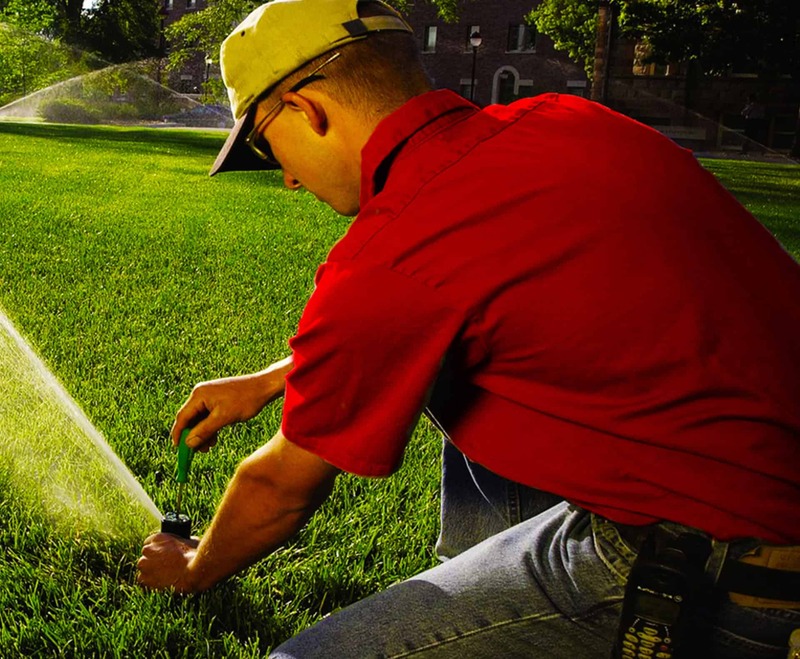 When it comes to lawn sprinkler and irrigation systems, you need a reliable and efficient lawn sprinkler company that knows the soil and landscape. With Sprinkler Repair of Texas, your irrigation repairs are always completed by certified and experienced professionals. Don’t take our word for it, verify us through the State Certified License Irrigation Board. We are also Certified Backflow Pressure Tester. Why wait? Book online today and SAVE for a LOW-COST inspection. No matter the job. We will install or repair your irrigation repair today! When you think reliable sprinkler and irrigation repair, you think Texas Sprinkler Repair. Our soil has gone through a lot of changes these past few seasons. Decade-long drought and recent intense weather has shifted our soil. Underground sprinklers are getting damaged with the loose soil. 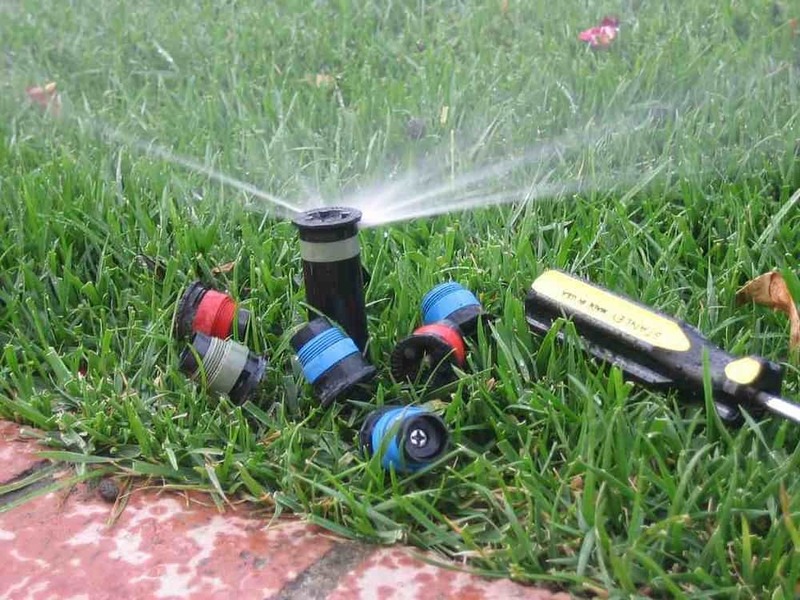 You need an experienced sprinkler repair company that knows the land and identify the issues. 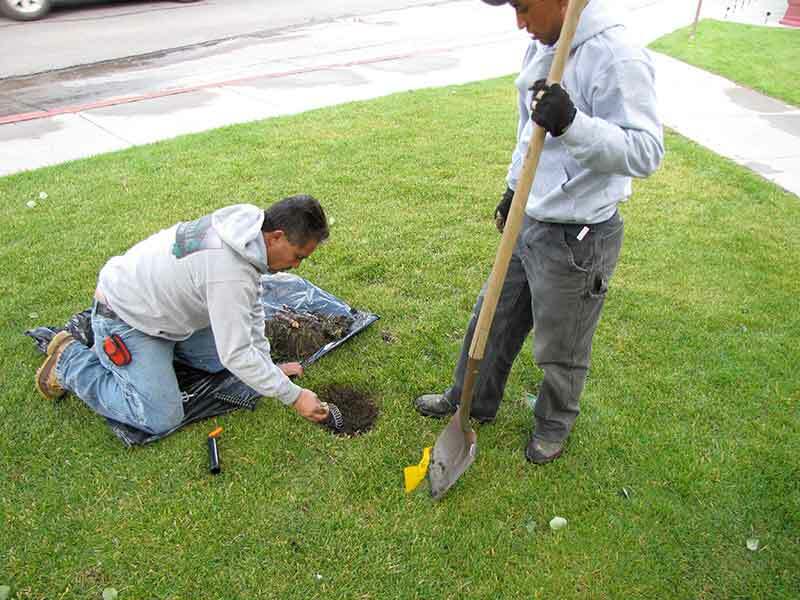 Our technicians will locate your broken sprinkler line and fix-it efficiently and cost-effectively. Repairing irrigation leaks and inefficient spray pattern can save precious water and save money. This regions soil has always been some of the trickiest to work with. The desert climate and intense weather make it difficult to achieve the landscape many of us want to come home to. With all these complications, it’s important to have an experienced irrigation repair company that will know the land and how to work with the unique trials our climate presents. Green Collar Workers is up to the job. Our technicians can locate and diagnose the cause of any problem and save you money by fixing it. Working with us can help you amplify the impact your irrigation system has on your landscape AND help reduce the cost of high water usage. Our BASIC Service includes an assessment and tune up of all working heads within your irrigation system. This is perfect for small residential lots. We will educate you on your systems faults and come up with a plan for repairs. This also Includes up to 1 hour of repair. Call for a FREE QUOTE today! Our GOLD Service includes an assessment and tune up of all working heads within your irrigation system. Perfect for medium size homes and small business lots. We will educate you on your systems faults and come up with a plan for repairs. Includes up to 2 hours of repair. Our PLATINUM Service includes an assessment and tune up of all working heads within your irrigation system. Perfect for 1/2 acre+ lots Residential and Commercial lots. We educate you on your systems faults and come up with a plan for repairs. Includes up to 3 hour of repair. Inspect irrigation system for wet spots or leaks in the lawn around the spray heads and rotors. Check and replace the controller backup battery if it’s more than 2 years old or not producing a full charge. Straighten bent sprinkler heads, checking for cracks or damage. Replace any broken, malfunctioning or cracked sprinkler heads or nozzles with new or replacement parts. Check for wet spots, dry spots and leaks. Identify all heads that are in need of being raised or lowered.